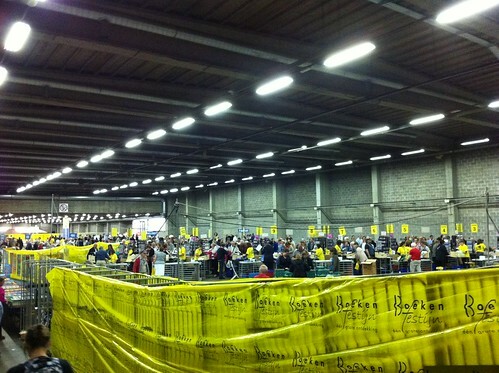 This past week I worked at Het Boekenfestijn (The Bookfest) in Antwerp. It was open from Thursday until Sunday. Thursday was our busiest day. I worked check-out that day, at number 12. Saturday was a lot quieter. 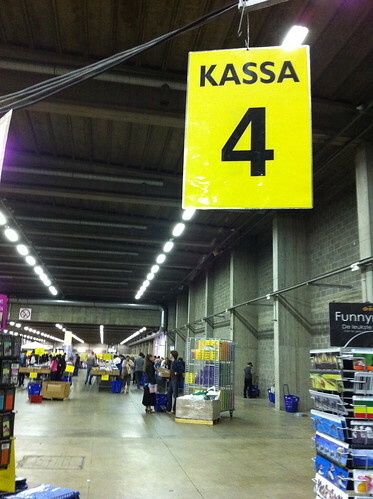 I worked at number 4 that day, and there were several times during the day that I had no customers at all. Oh, and I also bought some books for myself. A George RR Martin book (not Game of Thrones which I was looking for), The Adventures of Sherlock Holmes, Pride and Prejudice and The Legend of Sigurd and Gudrung for 14€.